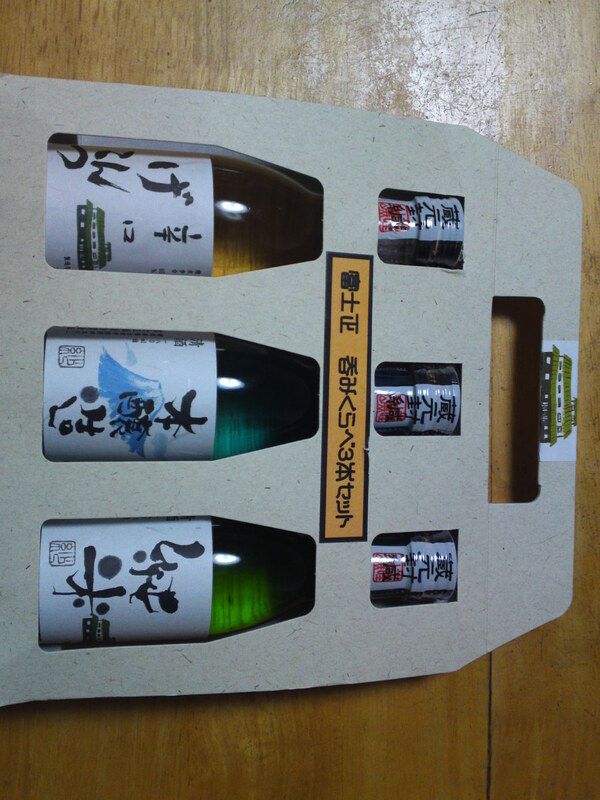 Usually I’m not really keen to acquire “souvenir sets” when it come to sake, but Fujimasa Brewery in Fujinomiya City, whose sake are not easy to buy in Shizuoka City, put out an interesting set I could not resist! Instead of the difficult to handle one-cup sake they offered their products in 180 ml bottles making it so practical for individual tasting of 3 different sake instead of having to buy the bigger bottles. Cute design representing the brewery! You are invited to compare the three different tastes! 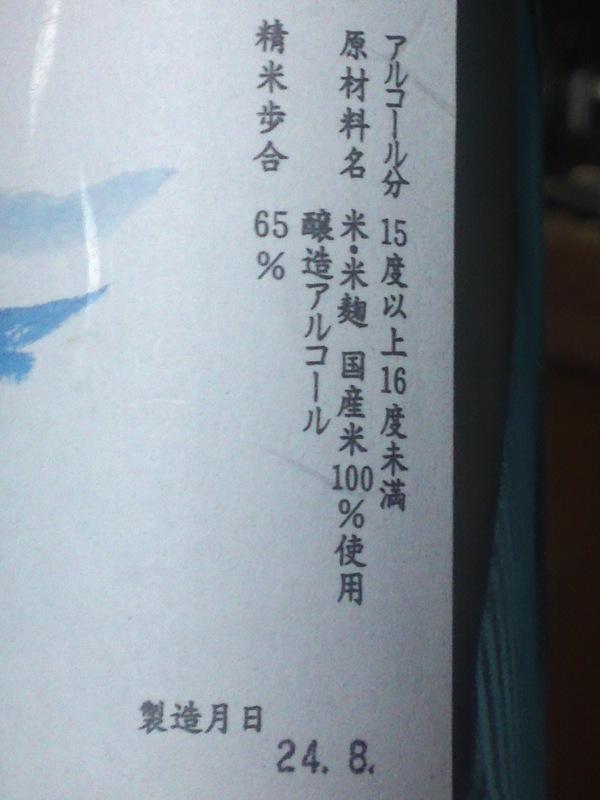 Taste: Very dry attack backed by a little junmai petillant. Very nutty flavors: almonds, macadamia nuts, and faint oranges. Disappears very quickly with faint notes of oranges and more nuts. Constantly calls for the next cup. Stays dry and very smooth with every cup. Changes little with food but tends to take a back seat then with more oranges and nuts. Tends to become a little sweeter on the palate when away from food again. Overall: A junmai obviously designed for food. 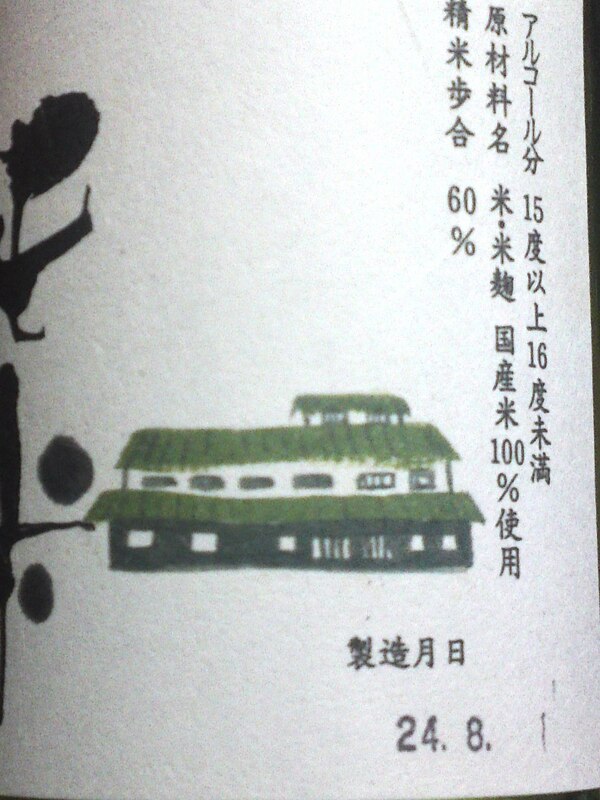 Shows little of the characteristics of a junmai but is nonetheless very pleasant and marries well with food. Even though, being very dry, it could be drunk best as an aperitif. A dry sherry? The second bottle! A honjozo! Aroma: Strong, fruity and spicy. Green apples, melon, almonds and faint notes of banana. Taste: Well-rounded attack with a strong and pleasant alcohol bak up warming up the palate. Complex. Dry, fruity and spicy. Lingers for a little while before leaving the stage on a dry and spicy note. Easy to drink on its own away from food in spite of its dry and spicy nature. Dry almonds make a strong comeback with the second cup. Varies little with food, persevering with its delicious spiciness. Actually tends to take on a softer turn inside the palate with a wealth of nuts. Oranges, macadamia nuts, almonds and chestnuts combine for a very pleasant nutty sweetish taste away from food. 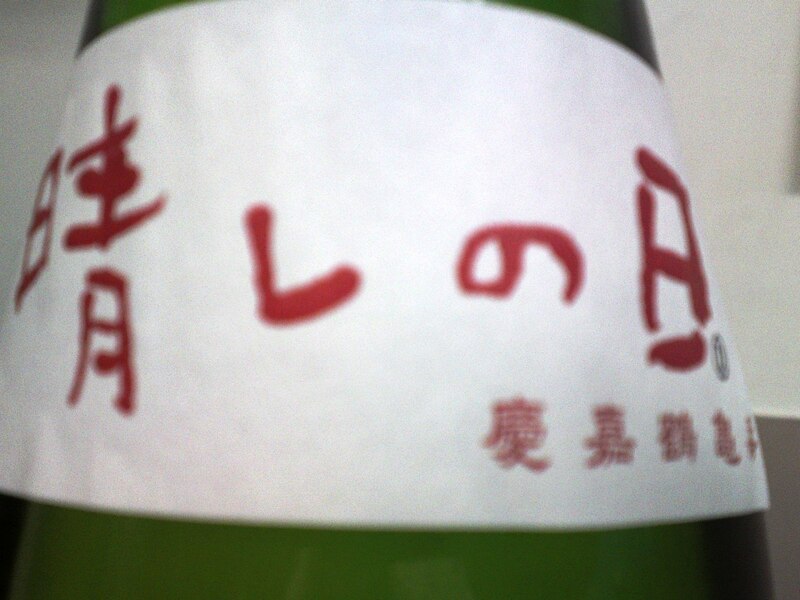 Overall: Another sake obviously designed for food, but eminently enjoyable on its own. 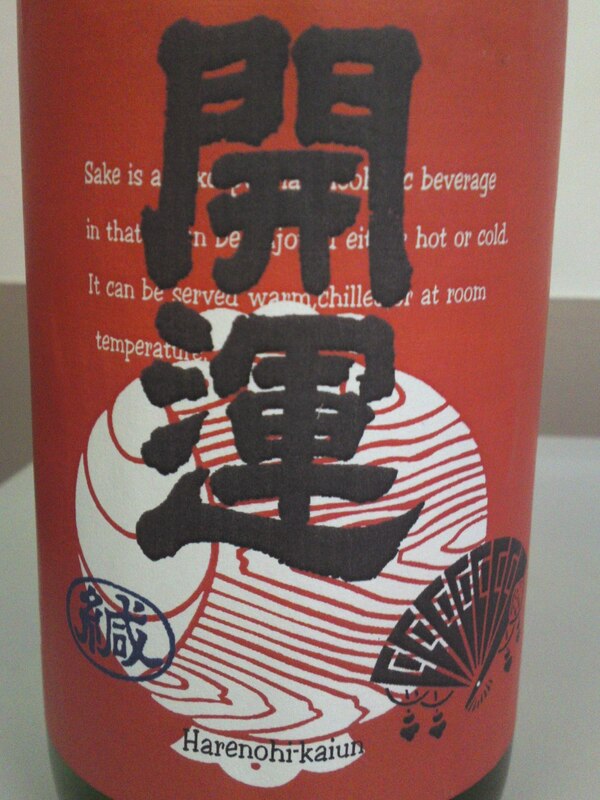 A sake one could bring to any izakaya, BBQ or outdoors party! The spicy nutty taste will surprise and please quite a few, especially for the fact it tends to reveal new facets from the third glass onward! Makino Brewery might be a small brewery in Fujinomiya City but it is the only in Prefecture calling one one of its brands “Fujisan/Mount Fuji/富士山”! 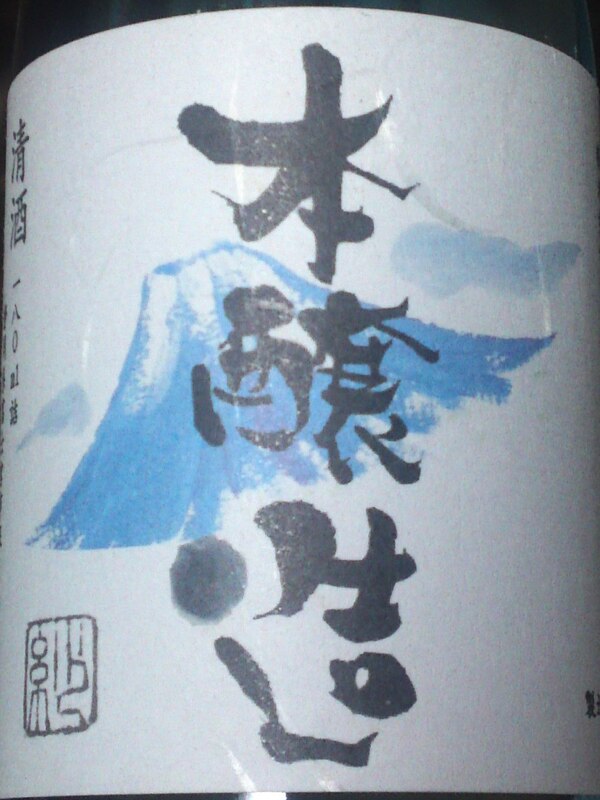 Their sake are not easy to find in Shizuoka City, but for once I managed to get my hands on their Junmai Ginjo! 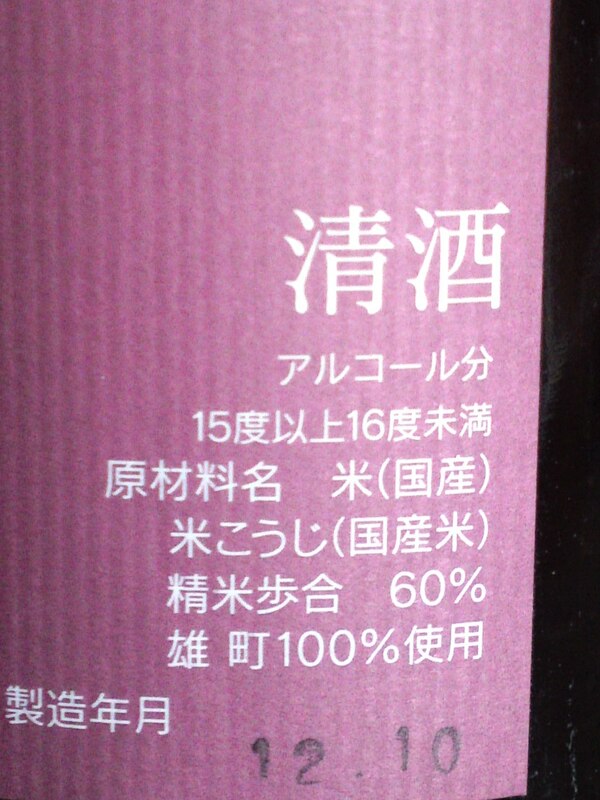 Taste: Dry and smooth attack immediately followed by puissant junmai petillant. Rapidly disappears on an even drier note. Fruity and complex. Almond, pears, macadamia nuts. Ends up on very dry almonds. Faint coffee beans appearing later. Very easy to drink in spite of its very dry nature. Changes little with food but tends to disappear more quickly then. Strong comeback by coffee beans away from food. 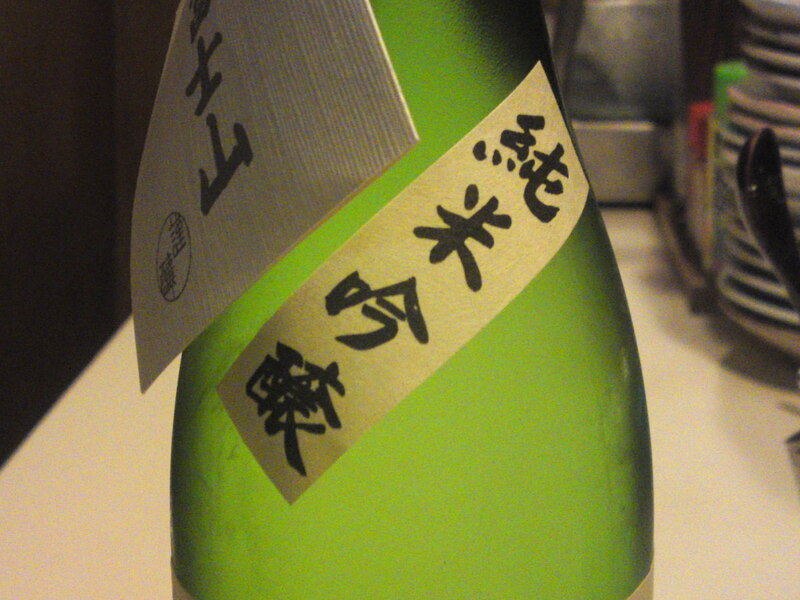 Overall: In spite of its elevated ginjo status, it is a sake highly enjoyable with food. Because of its dryness it can be also appreciated at any temperature. 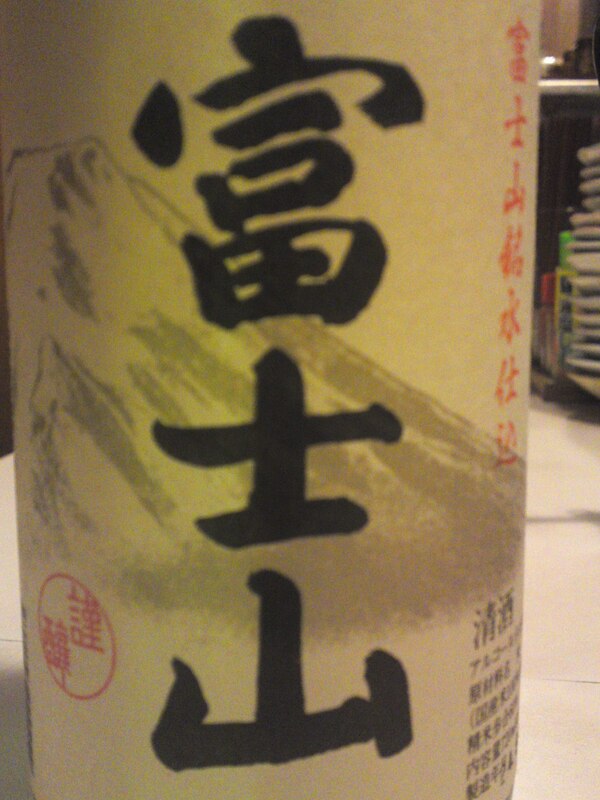 A sake for dry sake lovers, it seemed very attractive to my lady friends! 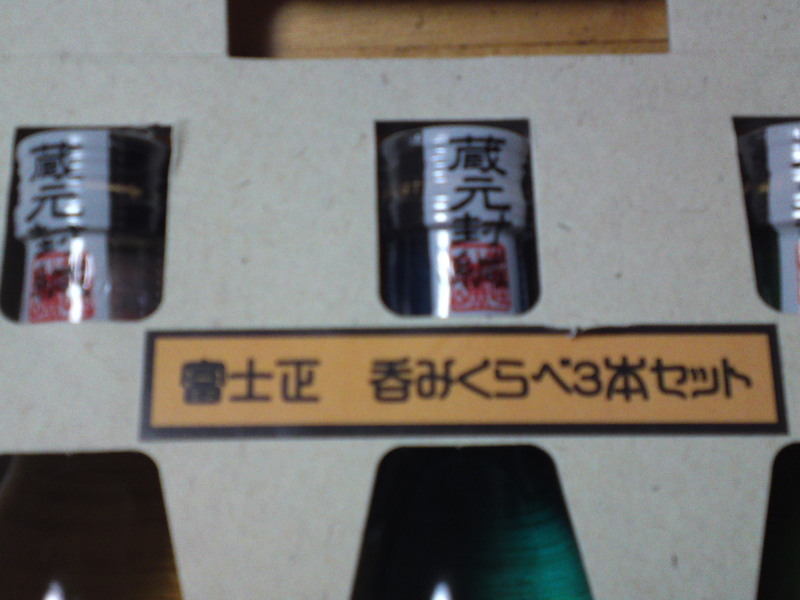 The brewery design is repeated on the first bottle! Aroma: Dry and strong. Alcohol. Fruity: custard. 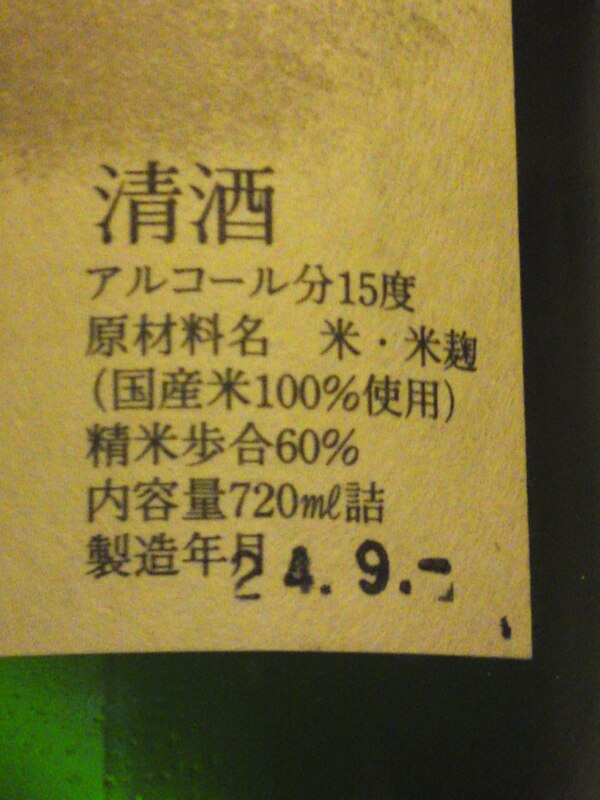 Unusual strong approach for a Shizuoka Prefecture sake. Strong dry almonds and oranges. High acidity helping warming up back of the palate. Lingers only for a while with dry almonds and custard peeking out. Tends to grow milder with food bringing about faint notes of macadamia nuts, oranges and coffee beans. Overall: A sake obviously designed as a dry and solid beverage although it tends to grow milder after the initial aggressive impression. Holds the interesting capacity to first shock the palate into acceptance to finally tame the latter into acceptance and enjoyment by rewarding it with concealed dry and fruity facets. For the strong and the bold! Would make for an intriguing marriage with dark chocolate! Doi Brewery in Kakegawa City is becoming more and more appreciated in Japan as well as abroad thanks to its master brewers from the Noto Peninsula, but also because of their efforts to promote Japanese traditions in the most positive way! They naturally produce exquisite premium sake but also create some extravagant honjozo for people who enjoy their sake with food. “Hare no HI” means “Bright Day”, a great name for a great occasion with friends! Taste: Well-rounded and very dry attack. Fruity and complex. Dry melon. Fleeting and difficult to catch. 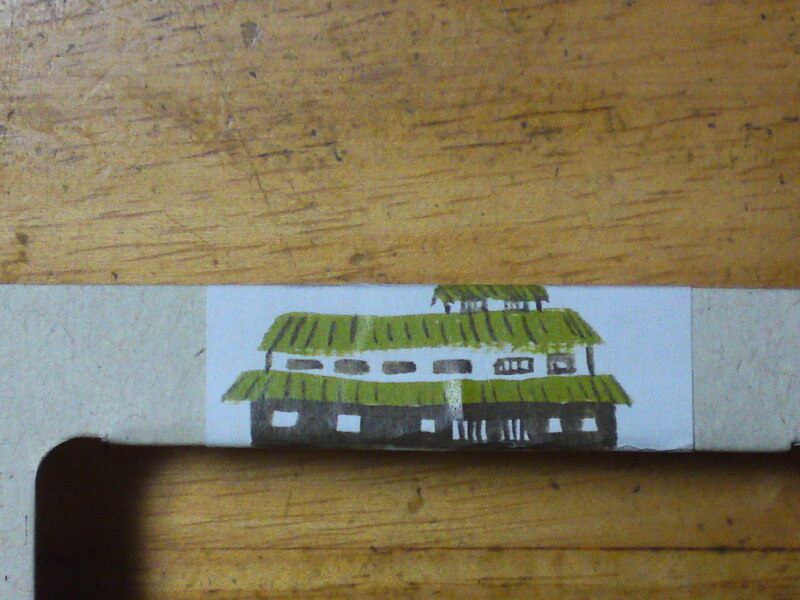 Very elegant in spite of its honjozo status. Disappears quickly on a softer but still dry note with oranges. Calls for the next cup. Varies little with food with a little custard peeking out. Dry almonds and macadamia nuts appearing as soon as away from food. 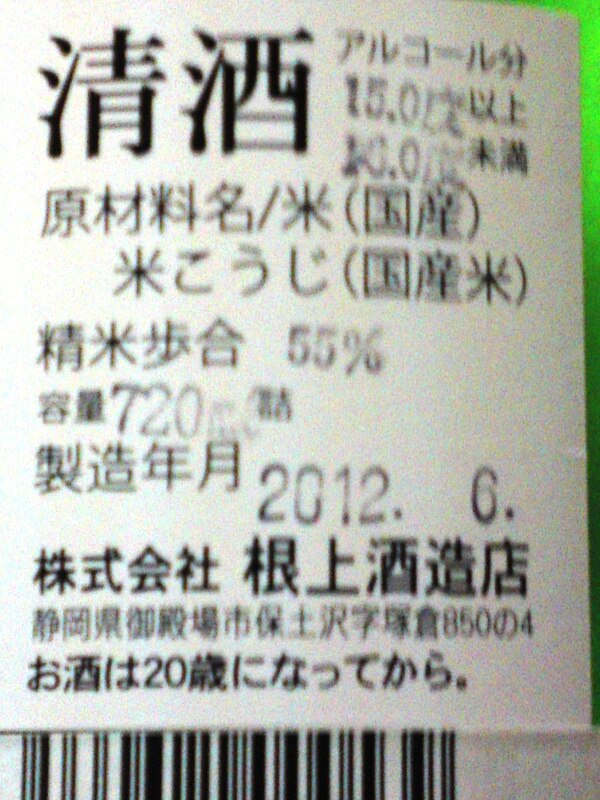 Overall: Another sake obviously designed to be enjoyed with food. Changes very little with the latter. Vastly more elegant than usual honjozo. It was very popular with the ladies that helped me taste it! 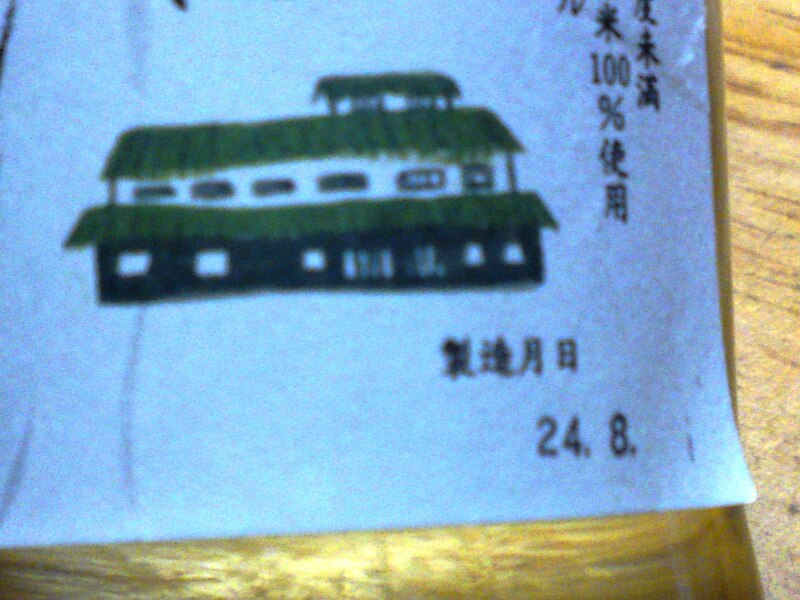 Kanazawagawa Brewery in Yui, Shimizu Ku, Shizuoka City in front of the sea, has been attracting a lot of attention nationwide for producing high quality premium sake to be enjoyed with food. It is actually more difficult than it sounds as usually premium sake are conceived more for tasting than accompanying food. Aroma: Strong and fruity. pears, green apples. 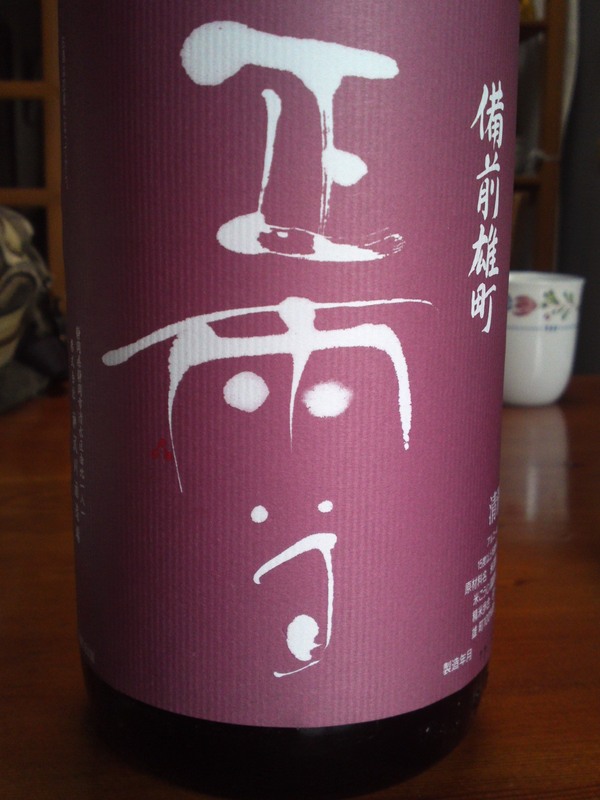 Taste: Well-rounded attack backed by pleasant alcohol and junmai petillant. Fruity and complex: custard, pears, apples, faint notes of macadamia nuts, almonds and coffee beans. 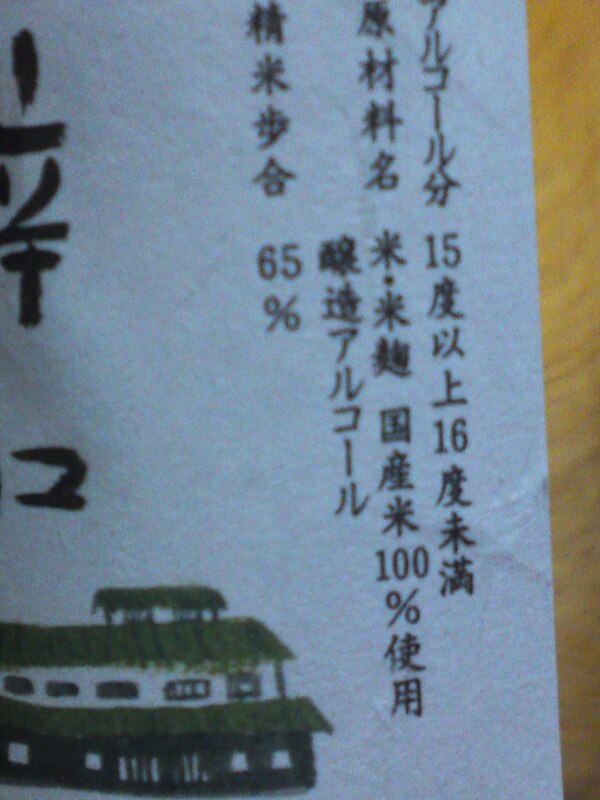 At times it reminded me a little of amazake/sweet sake (no alcohol and made with sake white lees). Changes little with food if a little drier. Drinks so easily and marries so well with food. 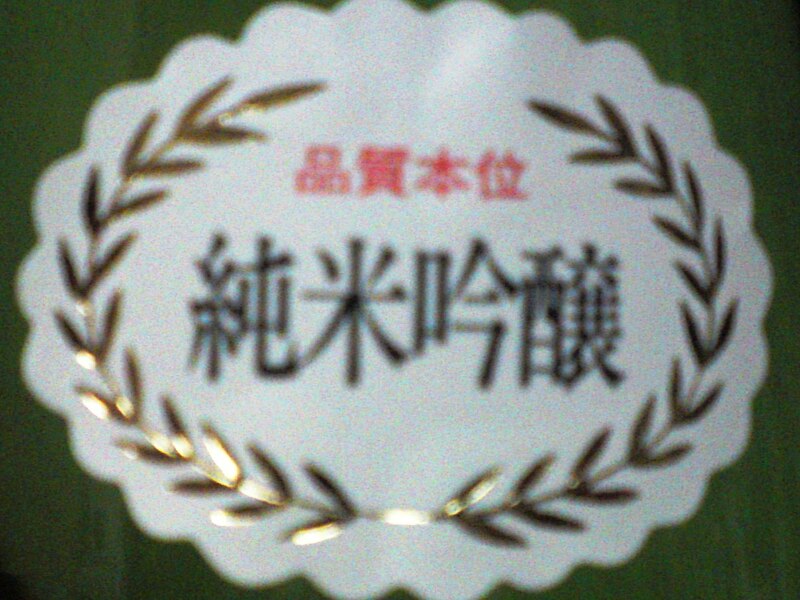 Overall: A sake obviously created for food. The perfect complement to izakaya gastronomy. Mind you, I would take it to nay party, BBQ or simply keep it at home within my grasp at all times! What I particularly like about Negami Brewery in Gotemba City is that they try hard promoting localculture and economy! And their labels are both cute retro and artistically modern! 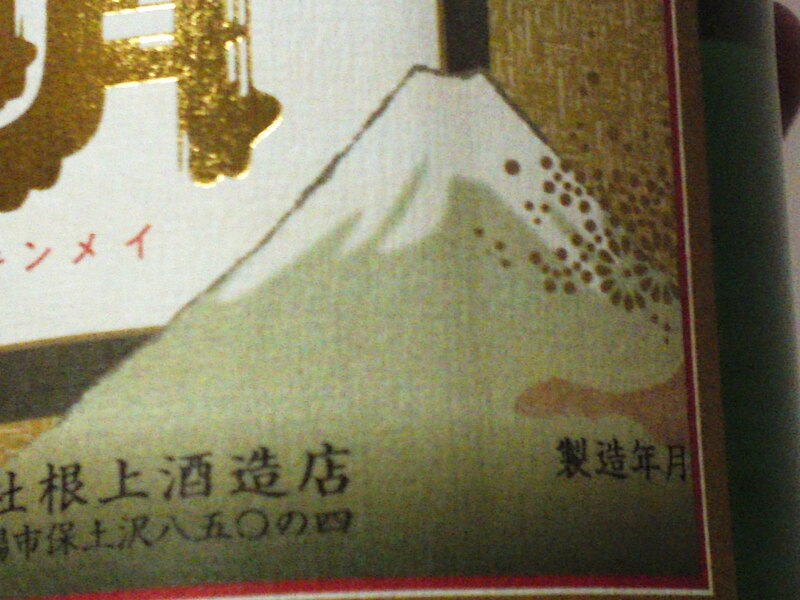 This time it is definitely retro with a beautiful Mount Fuji indicated under the name “Fuji Sankoku no Jizake/富士山麓の地酒, that is a sake made on Mount Fuji and the nearby mountains! 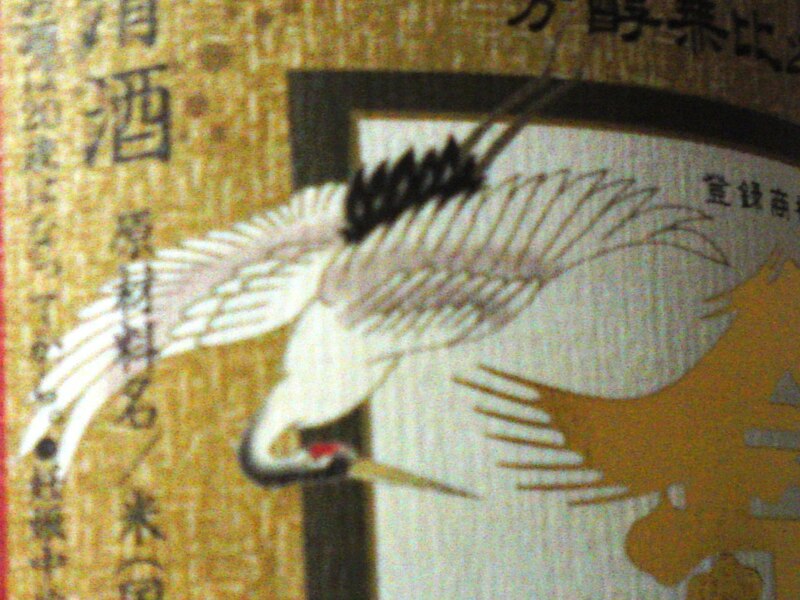 A beautiful Japanese crane for luck! They also mention the region name, Sunsyu Gotemba/駿州御殿場! 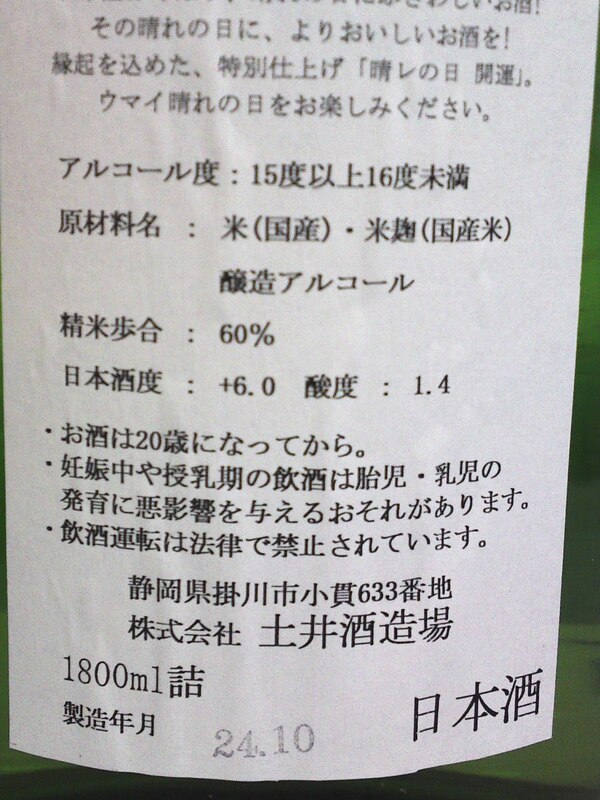 They also take the pain to announce its junmai ginjo on top of the bottle! Aroma: Assertive. Fruity. Pears, banana, green apples. 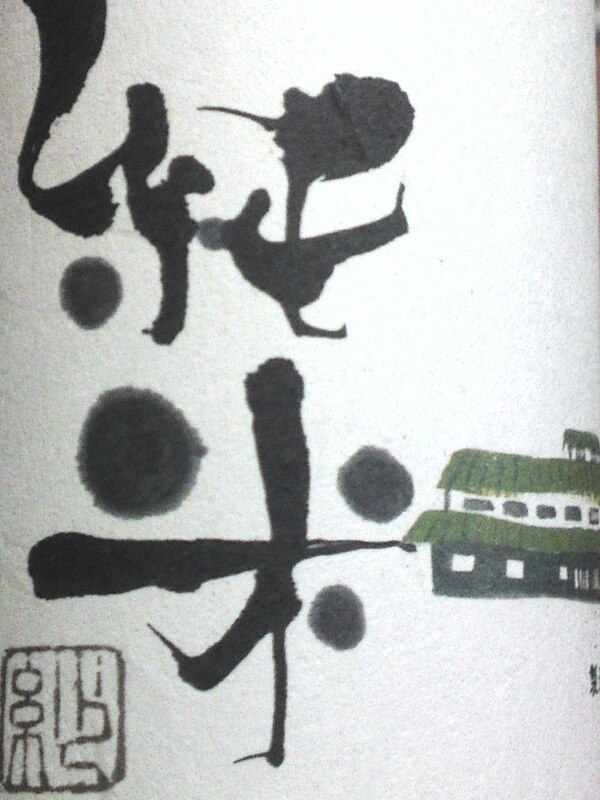 Taste: Well-rounded attack backed with strong junmai petillant. Complex and fruity: starts with pears and banana to finish with strong green apples. Faint coffee beans and dark chocolate peeking out on further sips. Takes a flight on a very dry note. Marries well with food. Varies little but gets even drier with an appearance from macadamia nuts and almonds. 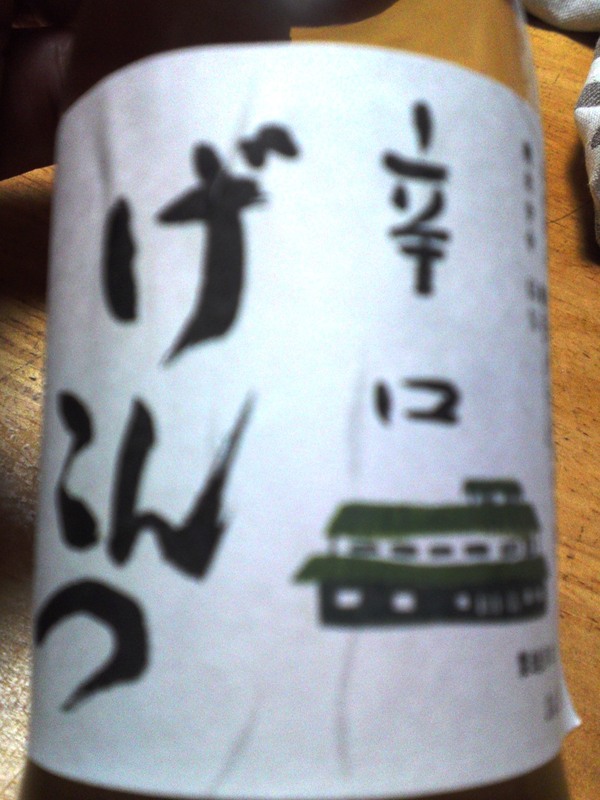 Comments: In spite of its elevated status, this is a sake that can be enjoyed equally on its own or with food, although it will gets markedly drier with the latter. I drank it both slightly chilled and at room temperature. Chilled, it would make for a beautiful fruity aperitif, especially if combined with with light taste appetizers such as asparagus. Complex facets would surge out more easily at room temperature, though! 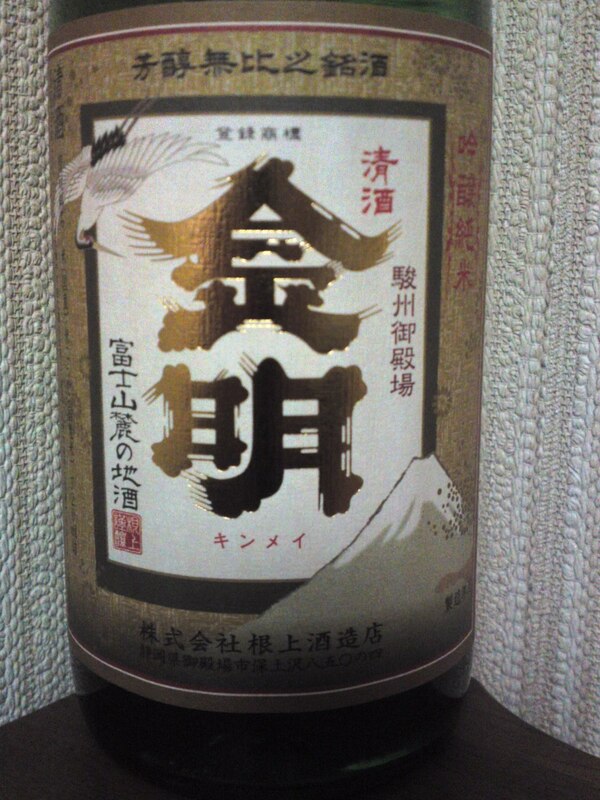 Another sake so worthy of discovery!